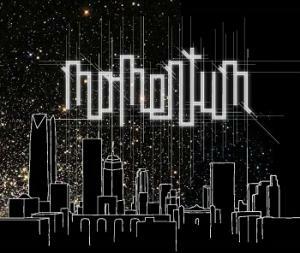 An art show in Oklahoma City also took a classic concept: Art, and turned it into a nontraditional event.For over a decade “Momentum” has been creating and recreating its exhibit to give young artists an occasion to show off their work. Assignment: Radio's Lydia Theban learns about an unconventional art show in OKC. Emerging curator Suzanne Thomas describes what she thinks about when deciding which artists will be featured in Momentum – a semi-annual art show put on by OVAC - the Oklahoma Visual Arts Coalition. "It’s energy, it’s fun," She said. "And I look for that because it is very youth driven and so part of that should be it should be fun it should be happening it should be all those things." Thomas is an artist and art professor at Rose State College. And she works alongside head curator Juan William Chávez to choose which artists will be able to display at the event. "I guess basically what I do because it is visual arts," She said. "I try to get a reaction. What is my initial reaction? And I think that’s pretty fair. What is that initial reaction if I’m unsure then I go back and I look at it. You know, that’s just the way, I think, you do about anything. It’s your gut reaction. What is that initial, you know, you only have one opportunity to make a first impression, so I’m kinda using that when looking at artwork." "I’m making an installation that is a graffiti removal workshop kind of as an ode to the craftsman workshop whether a carpenter or a blacksmith and on the backside of that is this brick façade that’s gonna be painted up with graffiti removal which is commonly known as buffs, so there’s all these buffs in different colors," Barnes said. "And I’m collaborating with a graffiti artist to tag up the walls and throughout the exhibition I’m going to come through and paint over or buff the graffiti away, and this is on the exterior. And on the inside of this room in the workshop are tables where you’ll find kind of the tools of graffiti removal from paint rollers and paint sleeves and the sticks they use to paint along with multiple five gallon buckets and um a cabinet with paints and rags and different things you would find in graffiti removal." Barnes sees his artwork and particularly this piece as a way to give back to his community. "The overall message would just be kind of community engagement and involvement whether your community is cars or art or maybe just the broader community in general from volunteering and being just an active participant in bettering your community, bettering your art community and just kind of bettering whatever you are in and not just reaping the benefits or anything like that." He said. He said the creators of Momentum aim to give young artists an opportunity to be engaged in the art community. And hope that participating in the event will give them experience and expose them to new audiences. One of last year’s spotlight artists, Dillon Votaw says participating in momentum Tulsa helped him become more confident as an artist in a professional environment. "Before Momentum Tulsa, I really hadn’t had the opportunity to do anything outside of like art class which is sort of an assignment based schedule, you know, every two weeks," He said. "I’m making something but for this I had like six months and a pretty large budget to put towards the piece I learned a lot about the sort of pressure of deadlines and how to like manage my time and get all of the necessary components ready. Also it was really great to like work with a real curator. It felt like more legitimate than your typical like art school happening. I feel way more prepared to like engage in sort of art institutions outside of OU and I also feel more prepared to submit art proposals to different art events." Votaw says he values Momentum, not just for his opportunities through the exhibit but also for its contribution to the art scene as a whole. "People should understand that there’s actually a lot happening in the arts in Oklahoma and Momentum, twice a year," he said. "Momentum is really a great way to tap into the undercurrent of the art scene that you really see."